When I first started blogging, I had no idea how to make money blogging. I didn’t even know you could ACTUALLY make an income from your blog unless you were a huge blogger with millions of fans and followers. When I realized it was possible for “small” bloggers to make a living blogging, it was like all my entrepreneurial dreams came true. I’ve always loved to write, style and take photos, and share my experiences, so when I figured out that not only could I have a blog, but my blog could start bringing in an income and eventually become my full-time hustle, I was blown away. 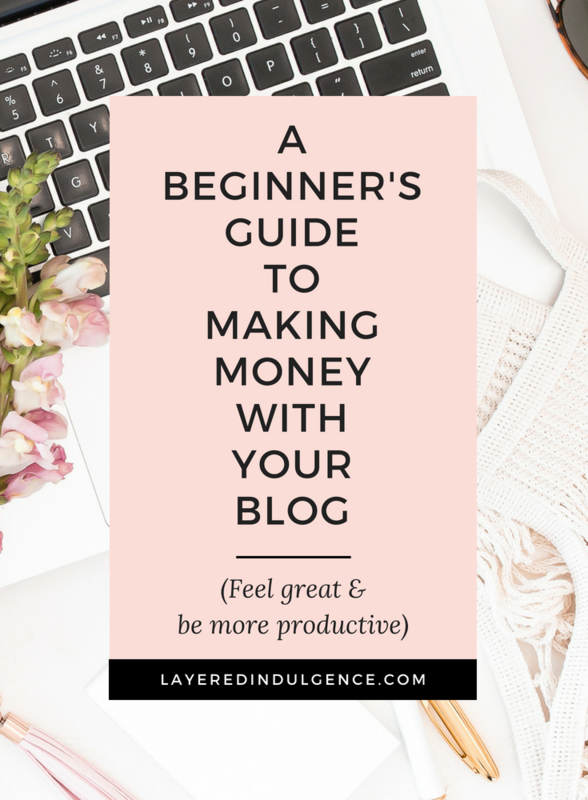 There are a few key ways bloggers can make money and I’m going to lay them out for you here. Some monetization strategies will stand out to you, while others won’t, and that’s totally OK! Choose the one(s) that works best for you, your blog and your audience! For all the monetization strategies I talk about in this post, the main thing to keep in mind is stay true to yourself. Your readers have fallen in love with your blog for a reason and if they feel you selling out, you’ll likely lose a lot of them. For instance, people don’t like going to a blog and ONLY seeing sponsored posts. They like to see a mix! And if you haven’t been doing any sponsored posts and all the sudden you only post content that’s sponsored, you’re sure to turn a few people off. Just make sure you don’t lose the special spark your blog had when you weren’t trying to monetize it! There are 4 main ways to monetize your blog: Affiliate Marketing, Sponsored Posts, Selling Products/Services and Ads. Ready to go through them? Let’s get to it! Affiliate marketing is one of the main ways I make money with my blog! If you’re not familiar with affiliate marketing, it’s when you promote someone else’s product or service on your blog or social media channels, and if one of your followers makes a purchase through your referral link, you get a portion of the sale! It doesn’t cost your reader any more money when you’re an affiliate, so don’t worry about that! . I love affiliate marketing because it allows me to promote products and services I love so much, while also earning some extra income by sharing about them! 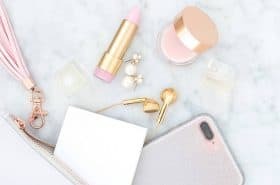 As bloggers, we’re always sharing about the things we love, so if we can make some cash flow from doing what we’re already doing, then why not? The way I see it, we’re acting as a source of promotion for the product or service, so it makes TONS of sense that we get paid if one of our readers makes a purchase. The key to affiliate marketing is ONLY referring things you use, love and believe in. If you join an affiliate program just to make money and start posting about random products that have nothing to do with your blog, you’ll start losing a lot of trust with your readers, and eventually start the losing readers themselves. Some of the most popular affiliate referral programs for bloggers are ShareASale, RewardStyle, Creative Market, Amazon Associates, Shopstyle Collective, Skimlinks, and Siteground. There are so many affiliate networks out there these days, so whenever you find a product or service you love, check to see if you can become an affiliate for it! Many bloggers LOVE working with brands and make the bulk of their income through sponsored posts. A sponsored post is a blog post that you write that features a brand’s product. The brand will pay you for posting about them and sharing your experience with your audience! Blogger networks match influencers to brands. You apply/sign up to be part of a blogger network and based on things such as your niche, followers, page views, etc. you’ll be paired up with suitable brands for sponsored posts. 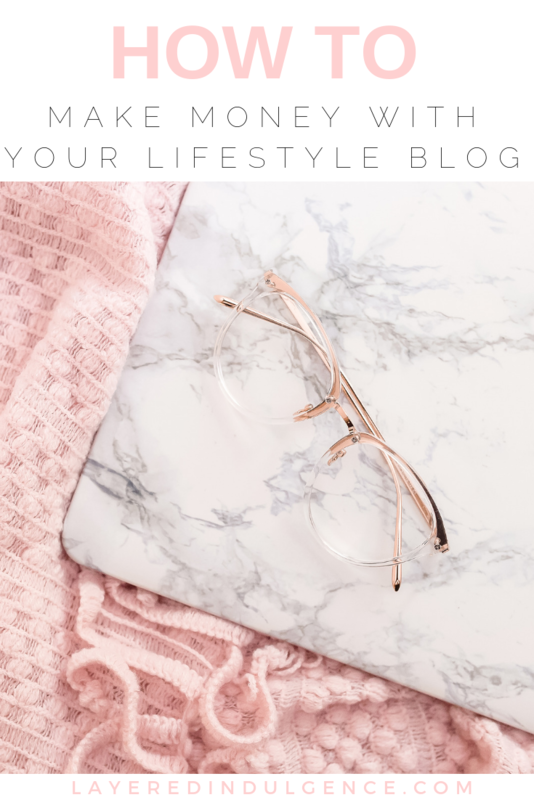 With some blogger networks you have to apply for sponsored posts, with others, brands will contact you if they’re interested in working with you and you decide if it’s a good fit for you and your audience. Some of the most popular blogger networks are: TapInfluence, PollinateMedia, MassiveSway, Social Fabric and Collective Bias. Sometimes brands will reach out to you and ask you to write a sponsored post on your site. Brands will often reach out to you offering a product to post about them. If they don’t provide you with their budget for the project, email them back asking what their budget is, or asking if they’d like to see your media kit. You can also say something along the lines of “Hey, thanks for reaching out to me! I’d love to work with you, you can find my rates below” and let them know what you charge. Sometimes you won’t hear back from them after letting them know you charge, and honestly, that’s a good thing, because it means they were trying to take advantage. Other times they’ll hop right on board, and sometimes they won’t have a budget for it and can only offer the product. In that case, it’s up to you whether the brand is one you want to work with or not. Blogger Beware: A lot of brands will reach out to bloggers, hope they’re uninformed, and try to benefit off their influence without giving much back in return. Make sure the email they send you is personalized, AKA not a mass email that starts with “Hey there” rather than your name. If they ask for do-follow links, that’s a big N-O, and if they don’t offer you ANYTHING but a shout out on their social media platforms or a coupon for X% off, it’s probably best to stay away. At the very least, your post should be written in exchange for a product, and not a cheap product either. It’s great to do posts in exchange for product in the beginning as these can be used as samples. But as your page views and engagement increase, brands should be paying you to write about them! You can reach out to your favourite brands by email, asking them if they’d be interested in working with you for a sponsored post on your site. Don’t just send them an email with your rates or media kit, explain to them WHY you love them and want to work with them, how you’d be a great fit for one another, and how working with YOU can benefit THEM! You can send them a link to a previous sponsored post you’ve done to show them what great content you create! And if you have the stats, you can let them know how successful that sponsored post was for the brand. If you haven’t written a sponsored post before and don’t have one to link to, no problem! Send them a link to your blog and they’ll be able to tell if you’re a good fit through your content. The great thing about you reaching out to brands is that you can be very picky in terms of who you work with! It will take time to write up pitches and send them out, but it’s worth it not to sit around waiting for brands to contact you! If you love creating content, products like eBooks and courses allow you to do it on a bigger scale in a more creative way. But you don’t have to create an eBook or course if that’s not your thing! Do you sketch fashion prints? Are you interested in becoming a life coach? Do you knit headbands and scarves? Are you passionate about offering personalized styling services? Is it your dream to create a recipe book? All of these products/services (and so much more) can be monetized through your blog! KNOW your target reader inside out – If you create something that doesn’t appeal to your target audience, it’s really hard to make sales. Focus on your passion. If you don’t love what you’re creating, it will show. Make sure if you’re selling a product/service, it’s something you love doing and can see yourself doing for the long haul. Don’t sell yourself short. Many bloggers create products or offer their services for way too low a price. Be confident in what you have to offer, and if you’ve checked off #1 and #2 make sure you’re charging what you’re worth. Making money through ads is less popular these days, but some bloggers still like to use ads on their blogs. You can put ads in the sidebar, header, or footer of your blog, and even within your blog posts. The reason it’s less popular among bloggers these days is you do need quite a bit of traffic to make money from ads. Whereas with products, sponsored posts and affiliate links you can make money with a small, engaged audience, ad money is solely based on traffic. But once you get your traffic up there, you can make a ton of money with ads. Like, a TON. Ad Networks generally pay you on Cost Per Thousand (CPM) or Pay Per Click (PPC). CPM means you earn a certain dollar amount for every 1,000 views the ad receives. So, if your CPM is $2, you earn $2 for every 1,000 views the ad gets. PPC is when you receive a certain dollar amount whenever an ad is clicked on. If your PPC is $0.50, you’ll get $0.50 whenever the ad is clicked on. If you were wondering how to make money blogging, this is obviously just the tip of the ice berg! If you really want to get serious about making blog a viable side hustle (or even your full time gig), it’s really smart to invest in a blogging course. This is something I wish I had done right from the get go. 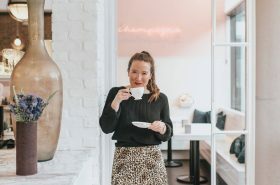 Last year I went through Ruth Soukup’s Elite Blog Academy (EBA) and it completely lays the foundation for starting and growing a successful blog. From refining your message, creating killer content and blog presentation, to fool proof ways of growing your traffic, social media and email list, to monetizing your platform and building your blog into a business, EBA is a one-stop shop! Ruth only opens the cart for EBA once a year . Get on the waiting list here so you don’t have to wait a year for the cart to open again! I waited year after year and when I finally took the plunge I wish I had done it sooner. It’s definitely an investment, but if you want to get serious about your blog, monetize and take it to the next level, this is the course for you! 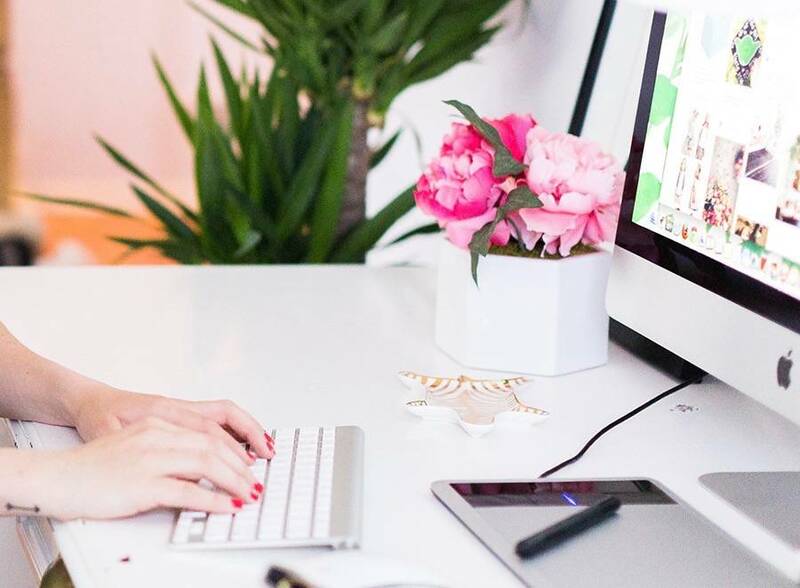 If you’re at the beginning stages of planning to monetize your blog, use this post to figure out which monetization streams will work best for you and your blog and start creating a plan to implement them today! 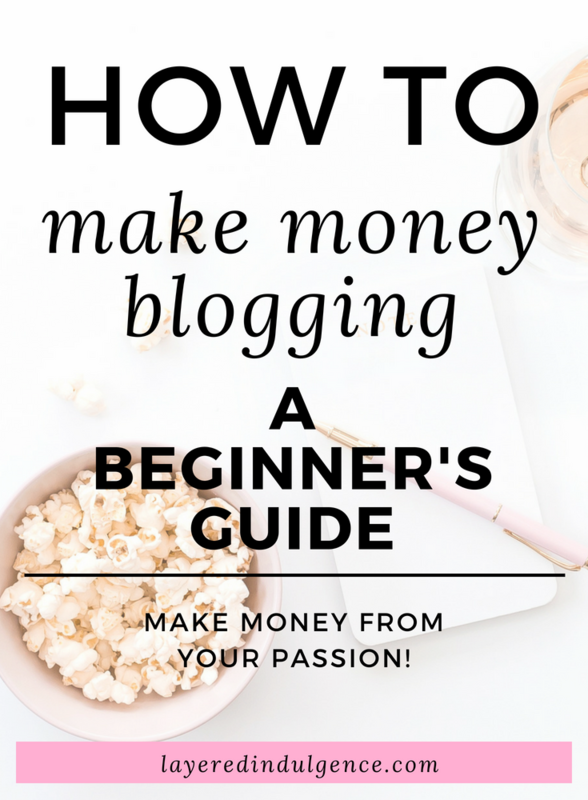 If you loved this post on how to make money blogging, please share the image below on Pinterest! Great post! Thanks for the valuable info!